It’s August! Wait…where did summer go? Have I really not posted anything since May 18? I’ve never taken what amounts to over a two-month break from the blog before. A few weeks here and there, but never this long. As it turns out, this was the busiest summer my family’s had in quite a long time. I offer my humblest apologies for being a cemetery-hopping slacker. 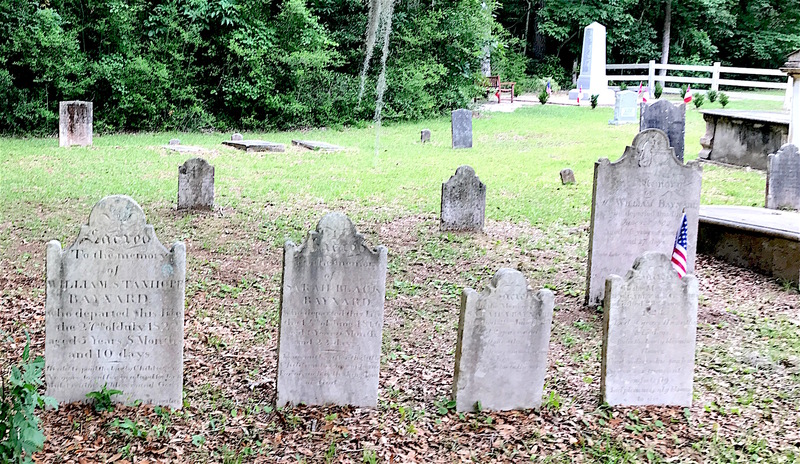 Let’s get back to the Presbyterian Church on Edisto Island’s (PCE’s) graveyard. While I’ve already written three posts about on this place, there are so many markers you’ve yet to see. One of the sadder line of graves I encountered were the children of a couple whose own graves are unmarked. Henry Fowler Bailey and Mary Hardy Mikell Bailey married in 1834. They had several children (one family tree listed a whopping 15 children) but it appears that only one (the eldest, Henry Jr.) survived to adulthood. The last five children known to have been born to Henry Fowler Bailey and Martha Hardy Mikell Bailey are buried at PCE. 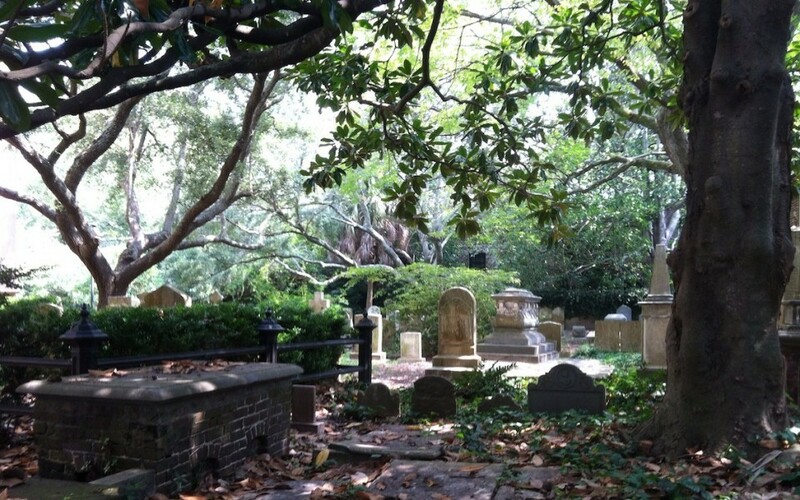 Ephraim’s grave is on the far right, obscured by a bush. The five graves pictured above were the last five of the many children that Henry and Mary are reported to have had. There may be more at PCE’s graveyard that are not marked or they are buried elsewhere. Ephraim, born Dec. 1847, died April 1850. Mary E., born Dec. 1849, died Nov. 1850. Thomas Baynard, born May 1850, died Aug. 1851. Hamilton Jenkins, March 1851, died Nov. 1854. William Whaley, born August 1852, died Aug. 1853. Henry Bailey died of consumption (tuberculosis) at age 46 in 1859. His obituary notes he was to be buried at PCE but no marker is there for him. Mary’s last appearance is with her only surviving son, Henry Jr., and his wife (Malvina Washington Bailey) and child in the 1860 Census. Her burial site is unknown, but she may be in an unmarked grave beside her husband. Henry Jr. died in 1864 in a Charleston hospital while serving with the Confederate Army (possibly the S.C. Third Cavalry) during the Civil War. His burial site is also unknown. With so many similar last names, it can get tricky following exactly how folks are related. The branches of family trees can start to blur. John Patterson left his estate to his niece, Ann Elizabeth Bailey. One of the oldest graves I found was for John Patterson, a planter who died in 1820 at the age of 35. His will indicates he knew he was ill and might die soon. His sister, Sarah Eaton Patterson Bailey, was the wife of Benjamin Bailey. John and Benjamin must have been close because he named him executor of his will. John left his entire estate to Sarah and Benjamin’s daughter (John’s niece), Ann Elizabeth Bailey Bailey. And that’s not a typo. Ann was a Bailey who married a different Benjamin Bailey. You can imagine how confusing that must have been! Sarah Patterson Bailey was the sister of John Patterson, whom she is buried beside at PCE Cemetery. 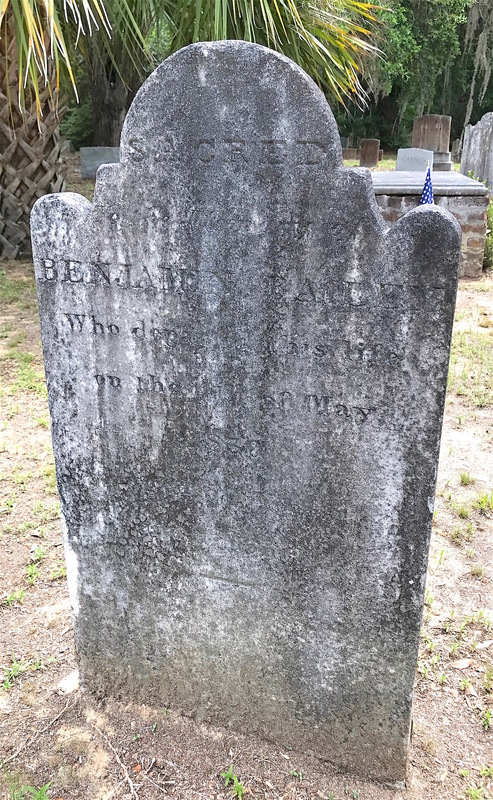 Sarah died in 1819, leaving Benjamin a widower. 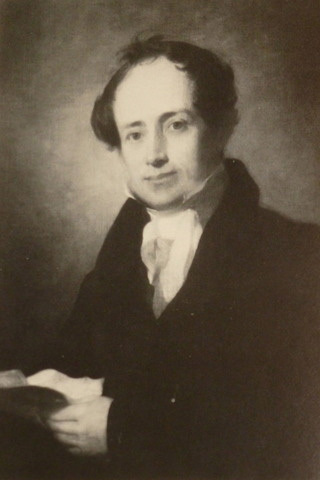 He married Mary Washington Townsend and had six children with her. He died in 1830 at the age of 50. Benjamin Bailey was not only the brother-in-law of John Patterson, he was the executor of his will. One postscript on the web of Bailey ties. I was glancing down the list of Benjamin Bailey’s descendants to discover that his granddaughter was Malvina Washington Bailey Bailey, the wife of Henry Bailey Jr. (who I wrote about earlier in this post). She was yet another Bailey who married a Bailey! My head was starting to spin a little with all the Bailey connections so I focused on the Baynards next. 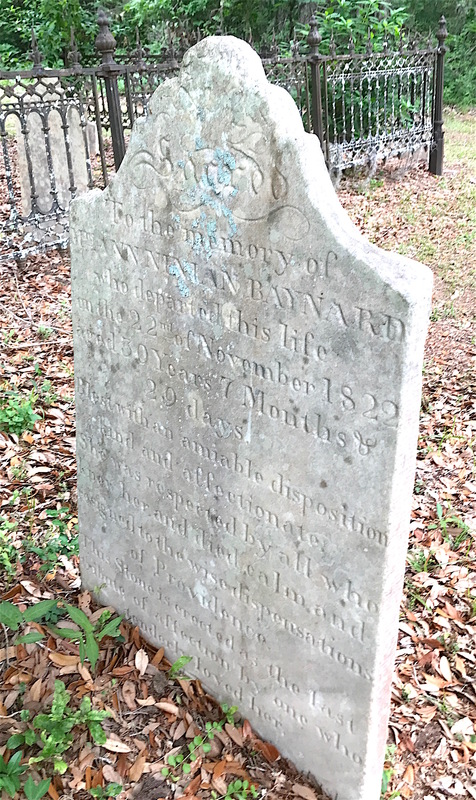 One of the more touching markers I’ve ever seen belongs to William Grimball Baynard, Jr. Born in 1766 to William and Elizabeth Grimball Baynard, William was a planter on Edisto. His parents are buried at PCE in unmarked graves. William Baynard married twice before dying at the age of 36. 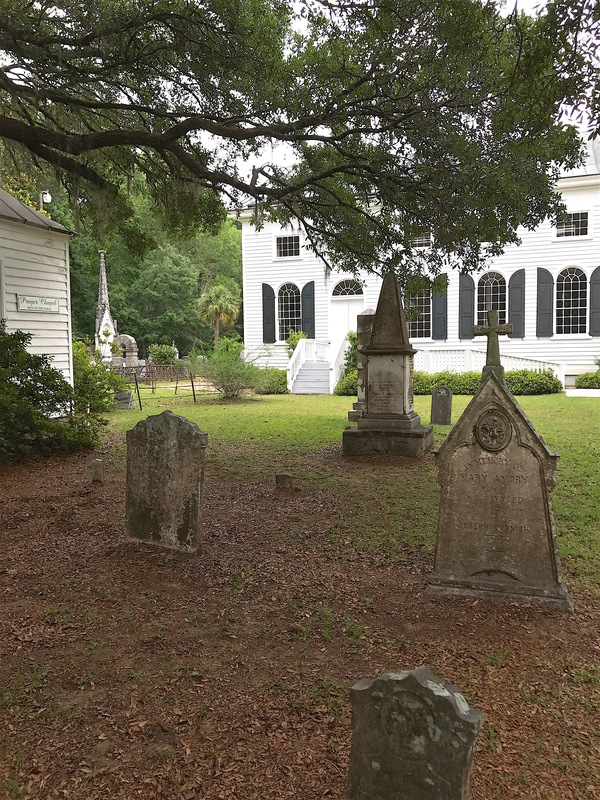 In 1792, William married 19 year-old Sarah Black at St. Helena’s Episcopal Church in Beaufort, S.C. They had only one child, William Jr., before Sarah died in 1793. William then married Elizabeth Mikell and they had two children, Elizabeth and Abigail. He died in 1802 at the age of 36. Eldest son William Jr. was only 10 at that time. The carver who created this heartfelt design evoked a common motif in funerary art at that time. 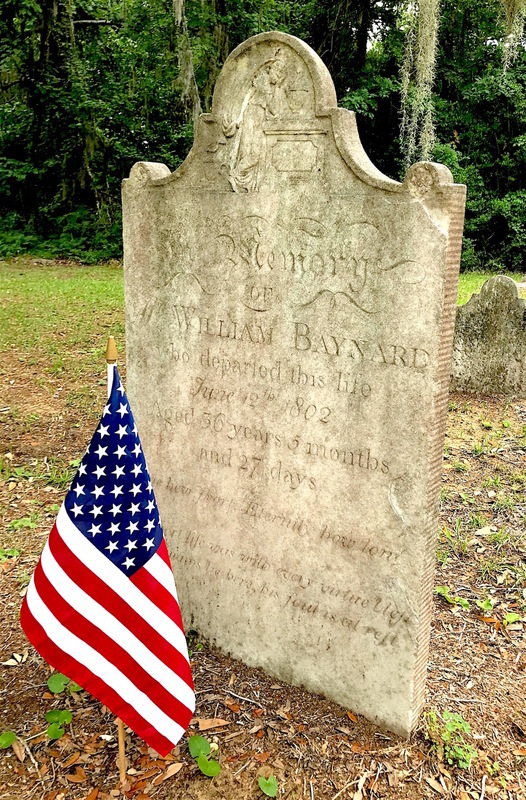 William Baynard’s marker features a woman leaning against a pedestal upon which an urn is placed. 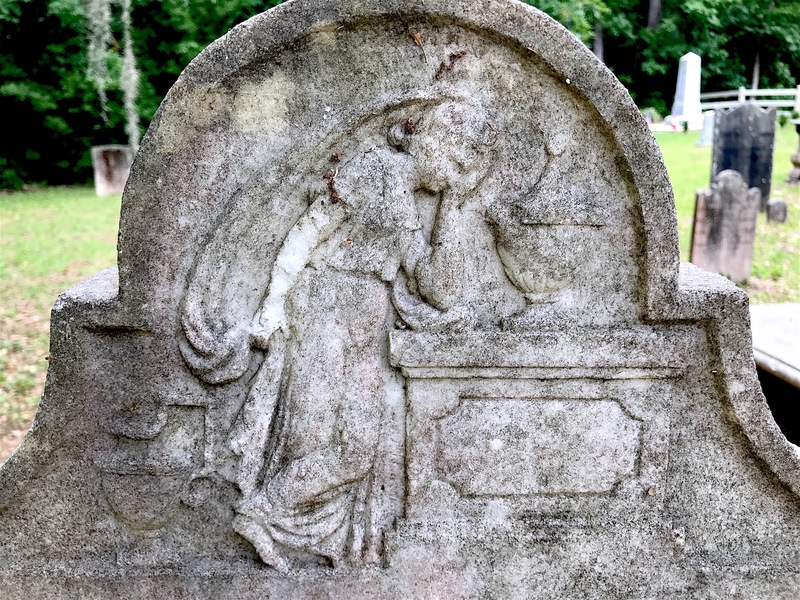 This motif of a grieving widow was becoming more popular around this time, when grinning winged skeletons were giving way to softer, more subtle images on gravestones. The artist is unknown but his style appears on other markers in the graveyard as well. This portrait of William Grimball Baynard Jr. by artist Thomas Sully was completed in 1825. William was 33 at the time. William Baynard Jr., on the other hand, lived a long life and had several children. He got his degree at the College of New Jersey, now known as Princeton, in 1812. Soon after that, he enlisted in Army to fight in the War of 1812 as part of Capt. William Meggett’s Company, South Carolina militia. Before being discharged in March 1815, he married Ann Ninian Jenkins. They had five children together but only one, Thomas, would survive. Ann, who died only a month after giving birth to Thomas in 1822 at the age of 30, is buried near William Jr. at PCE. Sadly, only one of William Jr. and Ann Baynard’s five children would live to adulthood. Their four graves are in the foreground, with their grandfather and father’s graves to the right behind them. William Baynard Jr.’s first wife, Ann Ninian Jenkins Baynard, died at the age of 30. William Jr. remarried in 1827 to Mary Bailey Swinton, who was 19. Over the next several years, they would have 13 children together. Ten of them lived to adulthood. Over the years, William did well as a cotton planter and acquired a great deal of property. He was an elder of the PCE, Justice of the Peace and Justice of the Quorum. By 1860, he was in possession of Prospect Hill Plantation on Edisto. The home was originally owned by an Ephraim Baynard. There were more than one so I’m not sure which of them it was. 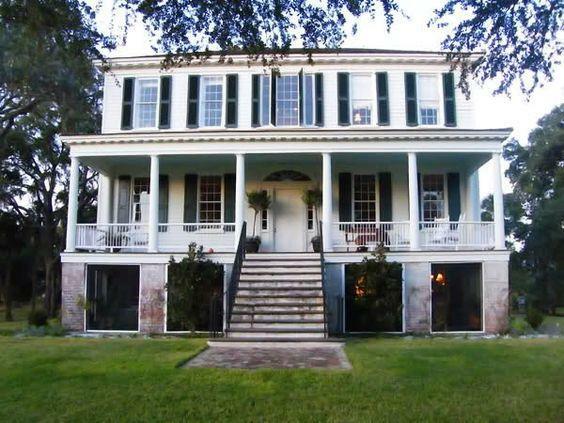 Built around 1800 and thought to be designed by White House architect James Hoban, the home sits on top of a high bluff. It survived the Civil War and still stands today, recently restored in 2009. William Jr. died on September 25, 1861 on Edisto. I did not get a picture of his box grave, which is located beside his father William Sr.’s grave. Mary and William Jr.’s youngest child, Henry, was only 11 at the time of his father’s death. Prospect Hill is thought to have left the Baynard family’s hands not long after the Civil War. Mary was living on her own on Edisto according to the 1880 Census. 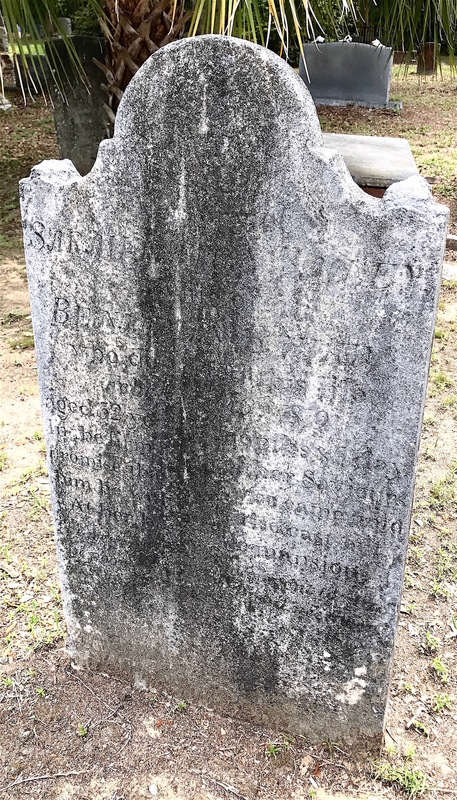 She died in Charleston in 1892 at the age of 82 of “old age and exhaustion.” Her death certificate lists her as being buried on Edisto but there is no stone for her in the PCE graveyard if she is there. Finally, I’d like to include a more modern stone that I saw. It reminded me that despite advances in medicine and safety, death can still take the young when we don’t expect it. 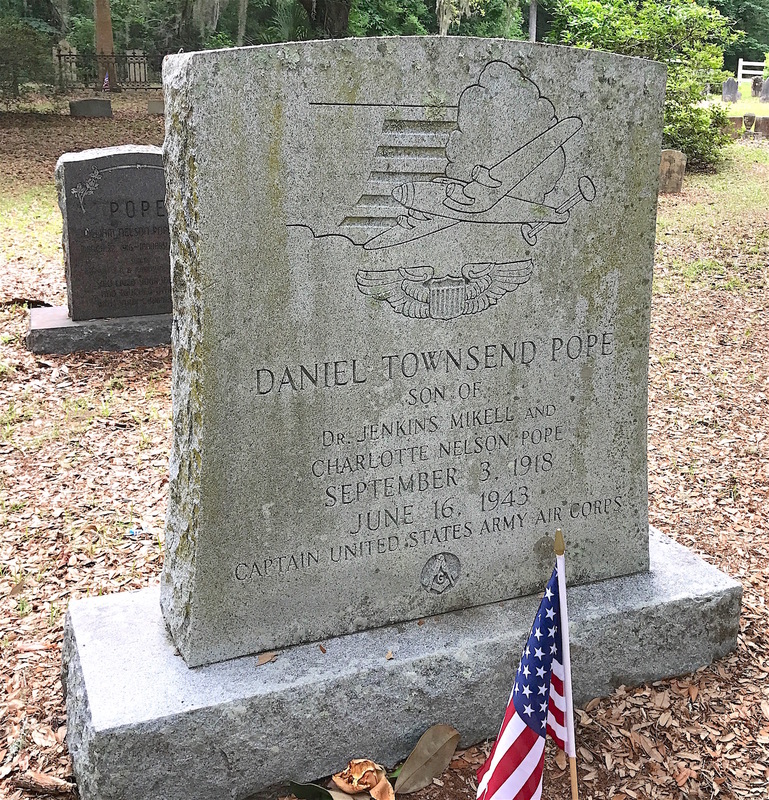 Daniel Townsend Pope was the son of Dr. Jenkins Mikell Pope and Charlotte Nelson Pope. He grew up on Edisto and went to college at Clemson University, earning a degree in agricultural engineering in 1939. 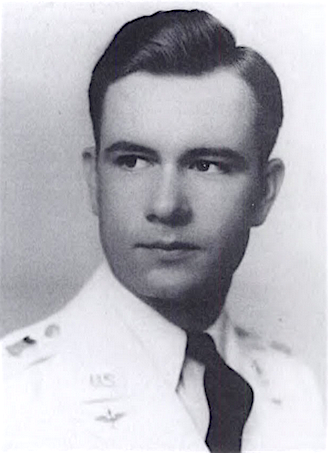 In December 1940, he enlisted in the Army Air Corps and became a student pilot. On June 16, 1943, Daniel was taking off in a a B-24 at Smyrna Field in Rutherford County, Tenn. when something went wrong. The plane crashed and Daniel was killed. He was only 24. Daniel Pope was only 24 when he died in a tragic accident. 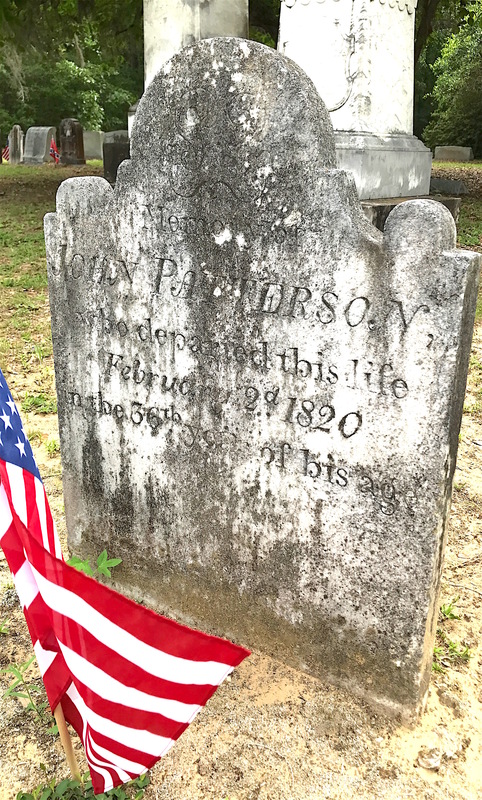 There are plenty of other stories about the families buried at PCE’s graveyard. But it’s time to travel a few miles down the road to another cemetery where there’s even more to be discovered. I love your posts and so glad you are back..:) we all have those busy times…can’t wait for the next post…Thank you for sharing your adventures….